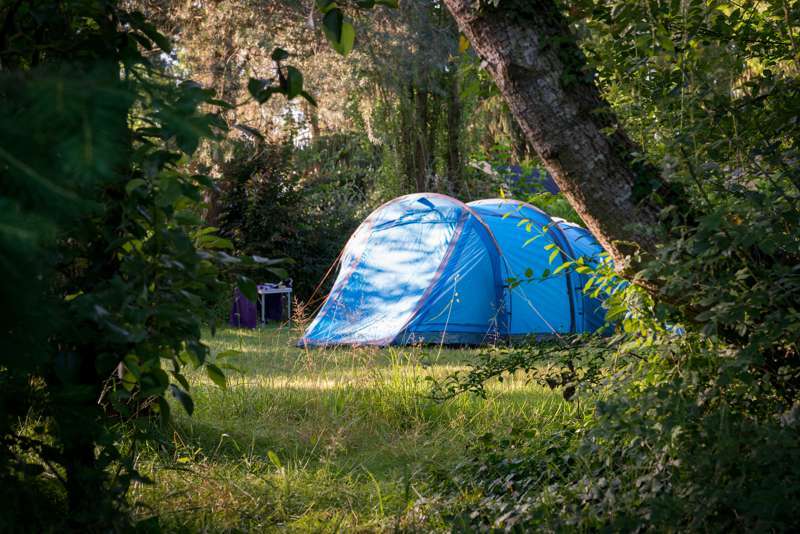 The Ferme de Prunay is a family-friendly campsite with heated outdoor swimming pool and a toddlers' pool, while large camping areas allow you to relax in nature and enjoy the views. 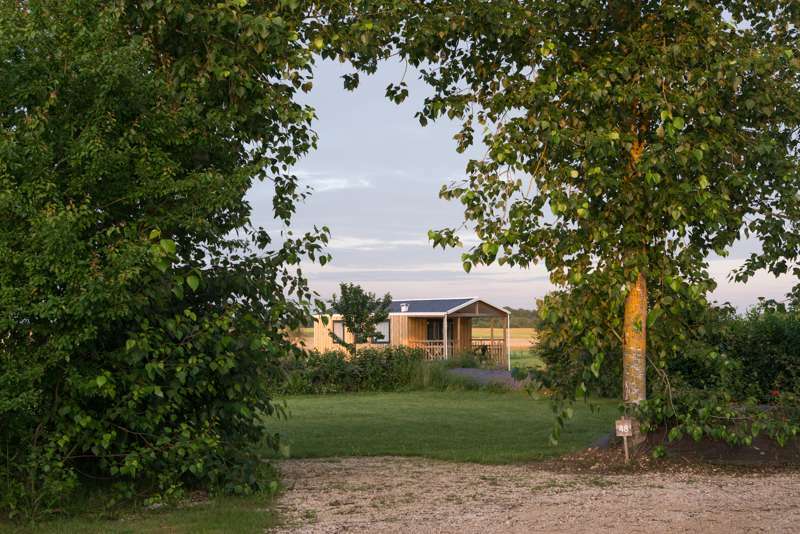 The campsite also operates as a ferme pédagogique, or teaching farm, with school visits off season. Those opportunities continue throughout the summer, so children and their parents may learn how corn is ground and how to bake bread, for instance, or go on guided local walks, which may pass by a local goat farm or vineyard, with opportunities to buy the wine, cheese, and honey. Educational animations are free, and organized during the school holidays. For latest availability and best prices for La Ferme de Prunay, please use the Date Search above. The wash-block has the option of family shower rooms and disabled access. The well organised site has welcome letters and information in English, French, Dutch, and German. The café-bar is open from 8am (for bread and croissant deliveries) until 9pm and also sells ice creams, basic bar food, and pizzas. There are tractor-train rides around the site (high season), animal petting and kids’ play areas, table tennis, volleyball court and basketball areas at the front of the site, which is where (supervised) campfires take place. A new heated swimming pool and an indoor room with games for toddlers. There are discount vouchers available on site to get into many tourist locations in the Loir-et-Cher département, including the wonderful chateau at Blois (0033 254 90 33 32) 10 miles (16 km) away, where Joan of Arc was blessed in 1429 before she left with her army to drive the English from Orléans. The Maison de la Magie (0033 254 90 33 33), a spectacular House of Magic museum, is situated across the Place de la Château from the castle and equally merits a visit. The beautiful town of Amboise is well worth the 20-minute drive along the Loire both for its chateau and Le Clos Lucé (0033 247 57 00 73), the house where Leonardo da Vinci lived his final 3 years, which is now a museum displaying models of his amazing drawings. It’s possible to hire canoes to use on the Loire itself, or the rivers Loir and Cher, which feed into it. The farm is a member of the regional tourist organisation ‘Bienvenue à la ferme’ and can recommend many local suppliers, listed in a French brochure, including La Cabinette for goats’ cheese in Onzain, 5 miles (8 km) away (which also has the best range of shops locally), or their favourite organic Touraine wine produced at Domaine Château-Gaillard in Mesland, about 2 miles (3 km) from the site. Among the many local markets they recommend those in Amboise on Friday and Sunday mornings on the banks of the Loire. There are many restaurants to choose from in Blois and just about anywhere near the castle is good. Nonetheless, L’Orangerie du Château de Blois (0033 254 78 05 36) really stands out as a special gastronomic treat. In a beautiful building with stunning interiors and a lovely terrace opposite the castle, its menus are from €34. From A10 take the Blois exit, then follow directions for Angers and Château-Renault until Molineuf, then follow signs for Chambon-sur-Cisse and then Seillac on D131, where you’ll pick up the roadside signs to Ferme de Prunay. 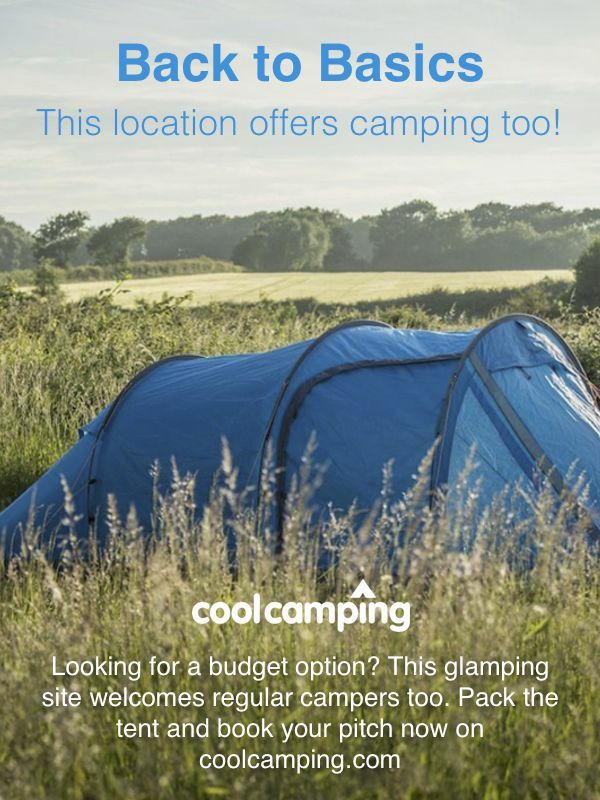 Large pitches suitable for tents, campervans and caravans. 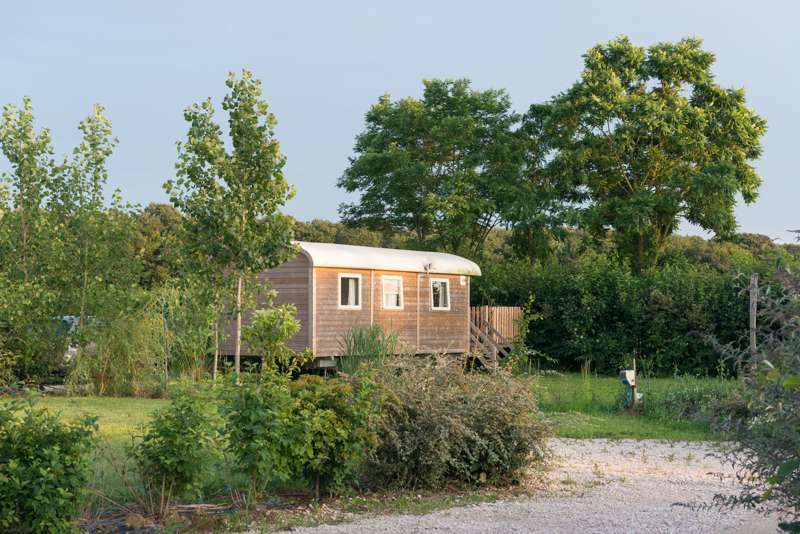 Cabins and gypsy caravans also available.